A soothing, hydrating SLS free body wash for all skin types. Luxurious and gentle. A little goes a long way, lasts 3 x as long as regular shower gel - just don't use too much! Gentle and soothing with natural cleansing properties to retain natural skin oils. Rejuvenates and leaves skin soft and nourished and protects the skin from irritation. Leaves skin soft and clean with a sensual, relaxing aroma but is very concentrated. Aloe Vera, Chamomile & Yucca. Rub a small amount gently into the body and face. Rinse off with warm water. 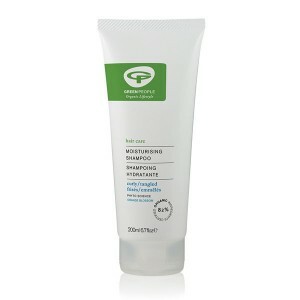 For beautifully soft skin follow with Green People Nurture Body Lotion while skin is still moist. Can also be used as a bubble bath.